Covers all major climbing areas in Slovenia. 4500+ routes in 94 climbing areas and over 400 detailed topos. 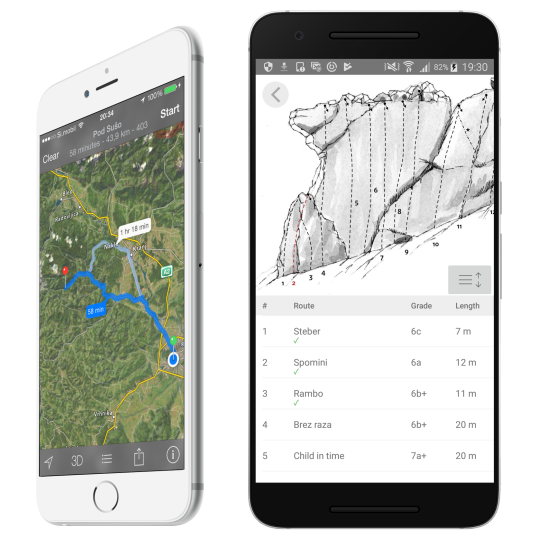 Basic information is available for free and we’ve unlocked the Armeško climbing area so you can get an impression of what the App is like. Topos and additional info are available by way of In-App Purchases which give you access to individual climbing areas or bundles of several different crags. Once downloaded to your phone, info and topos are available without an internet connection. Each climbing area is equipped with parking coordinates and the App will easily guide you to the parking at your selected crag. 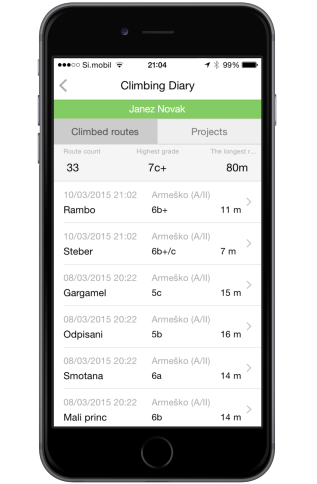 Keep a climbing diary, pick your projects, add route notes, and keep your personal ticklist. 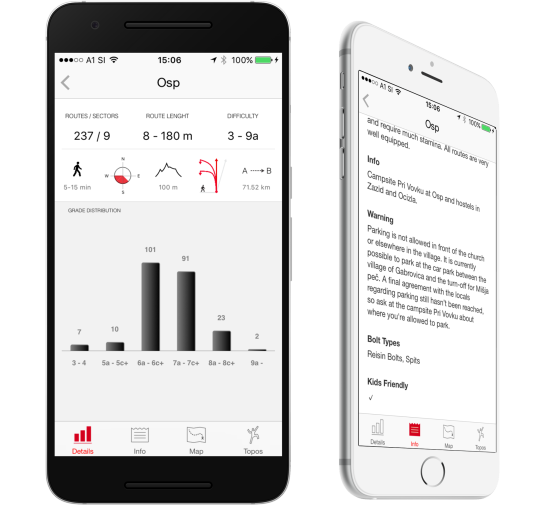 Each route can be exported to a climbing diary which records the date and style of the ascent. 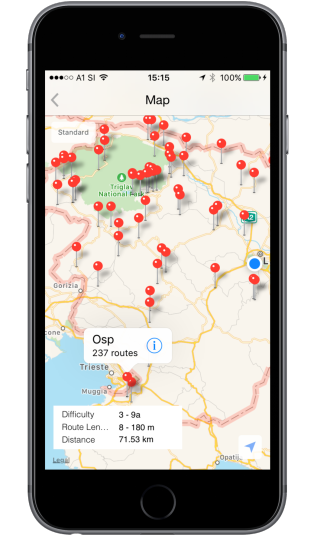 Sort by difficulty, route lenght, route name or topo mark… Topos can be viewed in landscape & portrait mode. We’ve unlocked the Armeško climbing area so you can get an impression of what you get when purchasing content.